HOCRU (The Human Orangutan Conflict Response Unit ) programme supports the conservation of the critically endangered Sumatran orangutan (Pongo abelii) through research, education, rescue, and the implementation of best practice techniques for mitigating conflict. 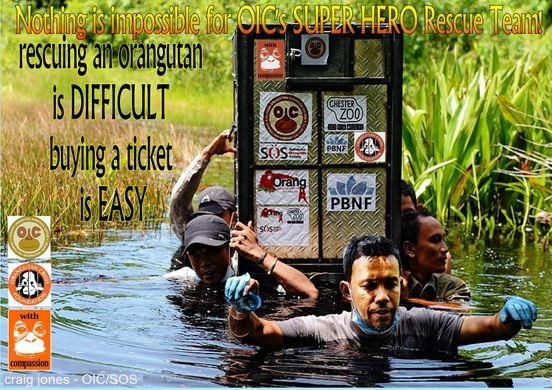 The HOCRU team responds to human-orangutan conflict reports, as well as reports of illegally held captive orangutans, and conducts regular field monitoring of translocated and known isolated populations of orangutans. They conduct data collection and mapping of forest-adjacent villages to gain understanding of crop-raiding species, and host regular outreach and training workshops on human-wildlife conflict mitigation methods, as well as distributing educational materials. 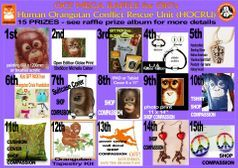 Since 2010 HOCRU has been responsible for the rescue and evacuation of a total of 61 orangutans from conflict situations. Of these, 28 have already been released into the protected forests of the GLNP adjacent to our forest restoration site in North Sumatra province, 2 have been released into protected forest in the Aceh province, 5 have been released into the Jantho Reintroduction programme, 2 have been released into the Bukit Tiga Puluh reintroduction programme, and the remaining 14 are still being cared for in the Sumatran Orangutan Conservation Programme (SOCP) quarantine centre.